Besides being home to breathtaking scenery like the Mendenhall Glacier, Juneau is a big city with a lot of great activities and things to do that won’t break the bank. 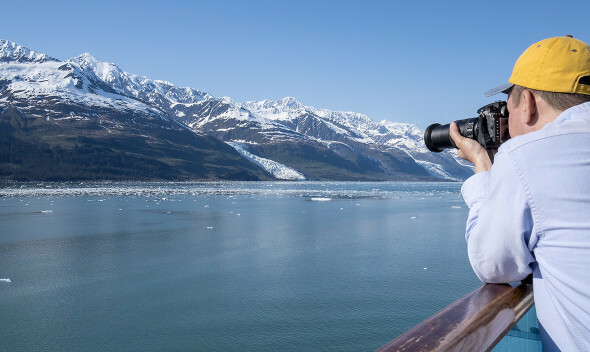 With all of the money you’ll save by taking advantage of Juneau’s budget conscious offerings, you can splurge on more souvenirs, or a bigger excursion in Skagway or Ketchikan. Here are 11 Juneau things to do that should not be missed. The outdoors enthusiast will find themselves in great company here in Juneau. If you are thinking of “taking a hike,” no pun intended, you can pick up a trail map from the Juneau Convention and Visitors Bureau. Trails range from easy to difficult and provide the possibility to explore an assortment of terrains. The Mendenhall Glacier is one of the largest glaciers in Juneau and a very popular destination for visitors. The Mendenhall Glacier Visitors Center offers videos and history about the changes to the Glacier in recent years, making it one of the most perfect educational Juneau things to do. During center hours, kids will be delighted to speak with the Mendenhall Glacier Rangers, who are always happy to answer questions. And each week the Mendenhall Glacier center offers “Fireside Lectures” where visitors can learn about topics like Native history or local wildlife. They must be pretty entertaining because this series has been running for 50 years! If you have little ones (or adults) who love to play, be sure to stop at the Cope Park. The recently renovated park features gorgeous, well-maintained trails for a stroll, a new-playground including a merry-go-round like you’ve never seen & a massive swing set, and even brand new tennis courts if you feel like breaking out a racket! As a bonus, it’s all located just 1 mile from Mount Robert’s Tramway, where your cruise ship will likely be docked. To attend one of the most dynamic festivals Juneau has to offer, it will take a bit of planning. Planning your trip June 8th-11th of 2016 to be exact, because this is the next time the biennial celebration, aptly called “Celebration” will be occurring. Among the least costly Juneau things to do, the festival is organized by the Tsimshian, Tlingit and Haida tribal members in collaboration with the Sealaska Heritage Institute. This three-day extravaganza brings the community together to encourage everyone to dance, sing, and enjoy arts and crafts. The revitalization of Native languages is a focal point of Celebration and a learning opportunity not to be missed. If you are looking for art, education, language and culture; this is where you want to be. The Juneau-Douglas Museum touches upon all things “Juneau.” Visitors can expect a throwback to Alaska’s early days and learn a bunch about Juneau’s mining and drilling history so dust off your hard hats. A fully interactive stamp mill and hydropower unit are some of the exhibits that allow hands-on learning and make this stop a great activity for all ages. The Alaskan Brewing Company offers tours of the brewery and welcomes guests of all ages to come and learn more about their historic recipes. They teach the history of the brewery and about the brewing history of Alaska in general, making this a fun and educational excursion. You can meet the “Brew Crew” and shop in their store where they have a wide selection of novelties, glassware and of course, beer! The over-21 crowd can enjoy complimentary beer tastings. They usually have around 10 beers on tap, so your hardest question for the tour guide may not actually be about the history at all, but instead which one should you try. Juneau things to do abound on Fridays, so this is certainly going to be your busiest day in Juneau. At First Fridays, the first Friday of every month (duh! ), dozens of galleries around Juneau open up their doors and welcome guests to a night of art of schmoozing. Feel like the aristocrat you always knew you were and get a taste of what Juneau’s art scene is all about. Remember when I said Friday would be your busy day? Well before heading out for First Fridays, get yourself some takeout and head down to the State Office Building. Every Friday at noon, the resident Kimball pipe organ of the building boasts an encore-worthy performance. A little culture and the sounds of an organ from 1929 will be music to your ears. No list of Juneau things to do would be complete without the famous Red Dog Saloon. This place was known for a piano player who wore silver halter tops named “Ragtime Hattie,” so you’ll want to stop in there for sure. A mix of tourists and locals will keep you in good company while you sit back and relax, planning your next inexpensive adventure around town. Food will run you a few bucks (~$20), but for only $7, you get to experience a shot called the “Duck Fart.” Yes, you read that correctly. With a name like that you may have to go ahead and get yourself two of them. The “Animaniacs” had a song that taught all 50 State capitals, and if you happened to remember the words, then you already know that Juneau is Alaska’s. Add a little political history to your trip by visiting the Alaska State Capital Building. May through mid-September, visitors can experience guided tours. For those looking for Juneau things to do during other times of the year, don’t worry; you can still get a peek with the self-guided version. Take your time and enjoy Juneau’s downtown area with a self-guided walking tour, one of the perfect Juneau things to do for do-it-yourself and budget-savvy travelers. Maps can be picked up at the airport or a number of other places, including cruise ship terminals and visitor information centers. Along your walk, you will find some of Juneau’s most historic sites including the “Windfall Fisherman,” a life-sized brown bear statue cast in gold, and a reproduction of the Liberty Bell. Down on South Franklin, some of the oldest bars in Juneau give a glimpse into the old gold mining days. The governor’s house, Evergreen Cemetery, ample amounts of souvenir shops, as well as local merchants and Native goodies await you. 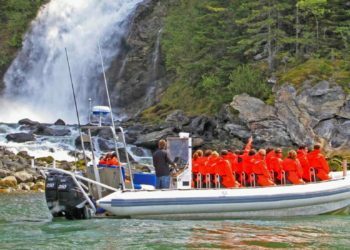 Heading to other Inside Passage ports and looking for more affordable activities? 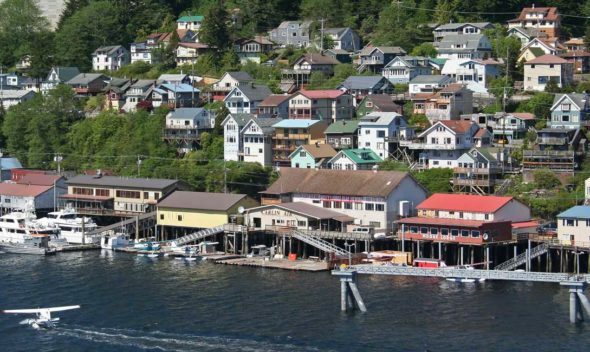 Check out our articles on Alaska Shore Excursions Cheap in Ketchikan and Skagway.